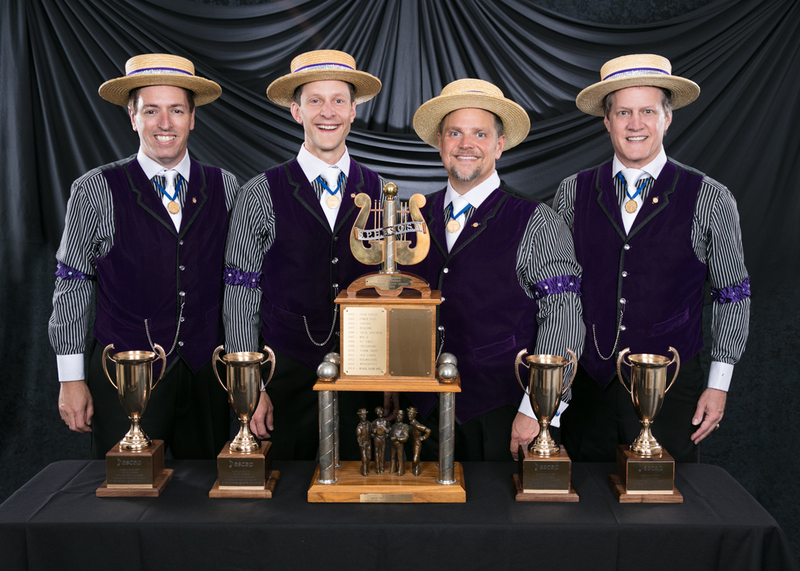 The Barbershop Harmony Society announces the qualification guidelines for our upcoming International Quartet and Chorus Competitions and Midwinter contest sessions. Open Quartet Contest: The automatic qualifying score will remain at 76%. There is no change to the qualification process for the 2018 contest. As a result of the growth in the number of quartets achieving this plateau over the past 2-3 years, for 2018 we’ve decided to add a third quarterfinals session instead of increasing the automatic qualifying score. In place of the traditional two quarter-final rounds, we will add a third round, and the traditional contest session schedule will change. This schedule reflects estimated times and is a pilot for 2018 only. Open Chorus Contest: No change. 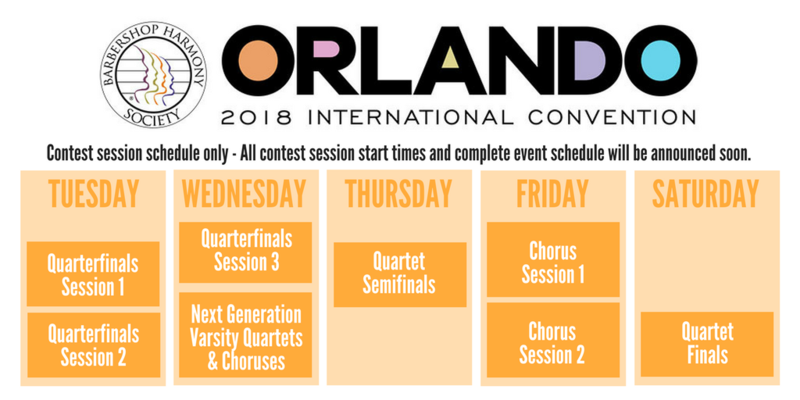 The International chorus contest will consist of 17 BHS district choruses and ten wild card choruses, in addition to invited Affiliate choruses. Varsity Quartet Contest: Video submission only. The 20 highest-scoring quartets will participate in the finals round at the Convention. Complete rules here. Event information can be found here. Varsity Chorus Invitational: Full registration process to be announced soon. Event information can be found here. Seniors Quartet Contest: There is no change to the current qualifying process for Senior quartets. Seniors Chorus Festival: The draw for the Festival is based on a four-year cycle, starting with the 2018 Midwinter convention. A random draw was held with district leaders, allowing each district to select one of three competition years: 2018 in Orange County, 2019 in Nashville, 2020 at a location to be announced. The fourth year (2021) will feature the top 5 scoring Senior choruses, as determined by their district competition results that year. 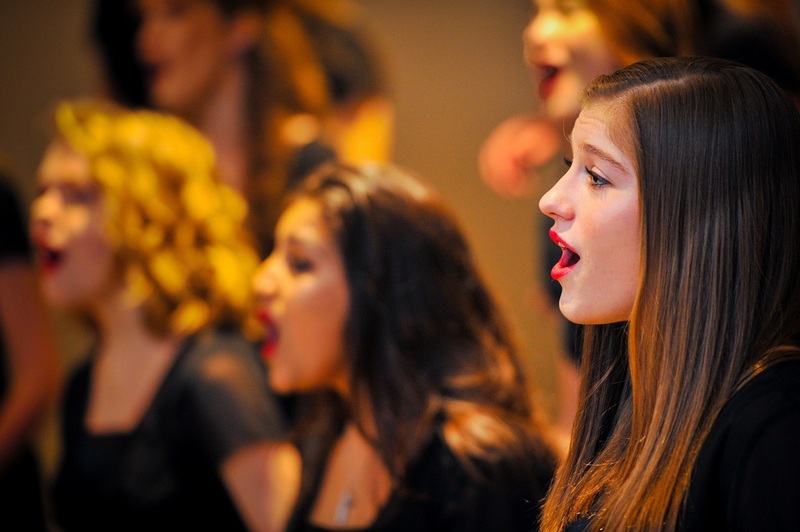 Youth Chorus Festival: Participants have already been selected and invited to participate. Details on how to apply for 2019 Junior Chorus Invitational and the Junior Quartet Contest will be announced soon.